President Trump continues to fulfill his promises by nominating yet another principled and conservative judge to fill a Supreme Court vacancy. Throughout his outstanding legal career, Judge Brett Kavanaugh has shown his commitment to the Constitution and defended our most sacred First Amendment freedom – religious liberty. Americans deserve a Supreme Court Justice nominee that will uphold and protect their religious liberty. And they’re getting exactly that with President Trump’s nominee, Judge Brett Kavanaugh. Last week, the president announced Judge Kavanaugh as his nominee to replace retiring Justice Anthony Kennedy. Judge Kavanaugh’s selection is consistent with the president’s record so far in vetting and designating nominees with principled and conservative credentials – especially in interpreting the original meaning and intent of the U.S. Constitution. Almost 20 years ago, a young Brett Kavanaugh donated his time on a religious liberty case with Kelly Shackelford and Jay Sekulow at the Supreme Court, showing his heart for religious liberty. Additionally, his qualifications are impeccable. 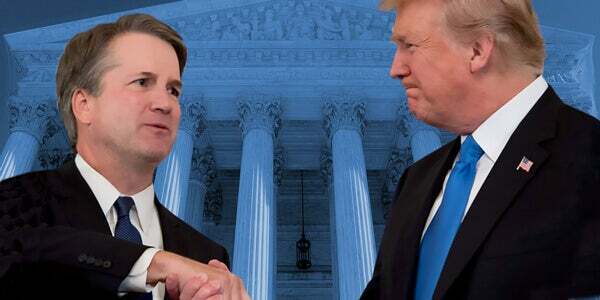 From his time as a clerk to Justice Anthony Kennedy, to being a partner in some of the most prestigious firms in America, to arguing before the Supreme Court, and teaching in some of the nation’s top law schools – Judge Kavanaugh is unquestionably qualified to take a seat at the highest level. In short, today Judge Kavanaugh is at the apex of his legal profession. In his time on the bench, Judge Kavanaugh has demonstrated a deep respect for the proper role of the judiciary. 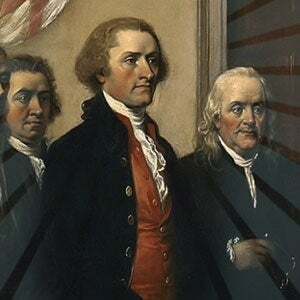 His opinions have consistently adhered to our founding principles that government exists to protect the God-given rights of the people and that the Constitution exists to prevent government from infringing on the rights it is entrusted to defend. Watch Kelly’s Reaction and Commentary on Judge Kavanaugh’s nomination. This nomination announcement comes at a critical time, as First Liberty has several cases pending at and approaching the Supreme Court of the United States. And if the U.S. Senate swiftly confirms Judge Kavanaugh to the bench, we can anticipate that he will be hearing cases and issuing decisions in the coming Supreme Court term that begins in October. Who exactly is Judge Kavanaugh? First Liberty’s legal experts give you an insider’s look at his key judicial highlights in defense of our most foundational freedom. For people of faith, Judge Kavanaugh’s nomination is a breath of fresh air, as his rulings and judicial record demonstrate his commitment and strict adherence to the Constitution and the dependable protection of First Amendment freedoms – including religious liberty. If this rings a (Christmas) bell, it’s because First Liberty filed an amicus brief in that very same case – WMATA v. Archdiocese of Washington – arguing that it is a First Amendment violation when government rejects or censors a message just because it conveys a religious point of view. Additionally, he issued another dissent in Priests for Life v. HHS, in which he voted to invalidate the Obama Administration’s contraception mandate because it violated the rights of religious organizations. In Newdow v. Roberts, Judge Kavanaugh also argued and defended the constitutional right to prayer in the public square, at government ceremonies, and using “so help me God” in the Presidential Oath of Office. And this is only a short list of recent First Amendment cases. Judge Kavanaugh’s protection of religious expression is complemented by an equally impressive record when it comes to free speech. In prior decisions, he has defended the speech rights of all Americans – regardless of their political viewpoints. At a time when hostility to religious expression and the First Amendment is at an all-time high, the nomination of a judge like Brett Kavanaugh is a sign of hope for those who are fighting on the front lines to preserve religious liberty, as well as for all Americans. However, we cannot ignore that Judge Kavanaugh’s nomination is only the beginning. There is no question that the confirmation process will be a tough and impassioned battle, particularly as opponents of freedom are already mounting their attacks against Judge Kavanaugh. But opponents of Judge Kavanaugh may not have much on which to base their misguided critiques. Judge Kavanaugh’s stellar record shows that he will base decisions on the law and the Constitution – and will not fall into the trap of judicial activism or letting his policy preferences influence his rulings. For that reason, he deserves a fair hearing and a proper confirmation process so that the Court can be at full capacity when it reconvenes later this year. We must counter the opposition’s misguided assaults. Join First Liberty as we charge to the battlefront and mobilize to ensure that the U.S. Senate quickly confirms this outstanding, pro-religious freedom judge to the Supreme Court bench. Judge Brett Kavanaugh to the U.S. Supreme Court!